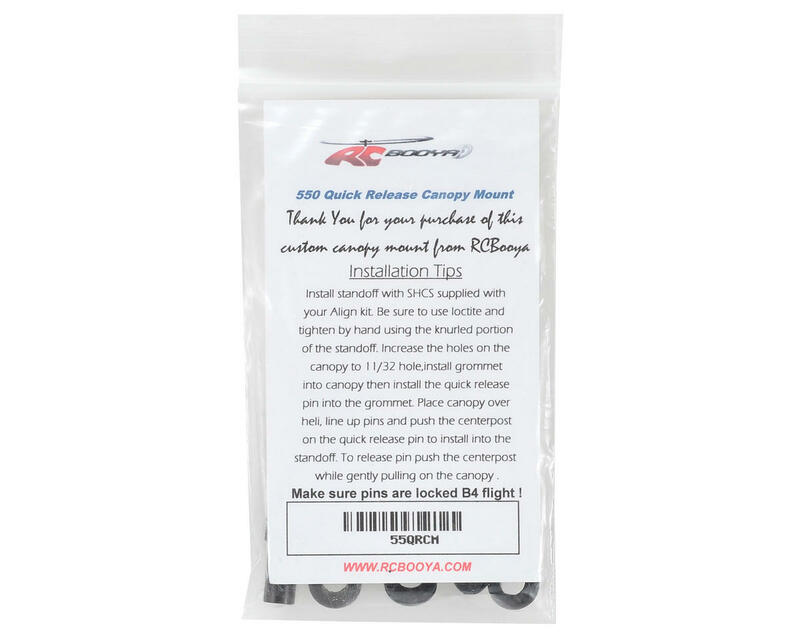 This is a pack of two optional RCBooya T-Rex 550 Quick Release Canopy Mounts. These canopy mounts feature a custom locking push/pull pin design made to fit the Align 550 Electric Helicopter. The Quick Release pin is made with 100% stainless steel components and is designed to stay connected to the canopy when not in use. Standoff is made from 6061-T6 aluminum with an applied Hardcoat process topped off with Black dye for the ULTIMATE Booya Tuff product! Kit is designed for use with the stock Align V1 style canopy. Use of any other canopy may affect the intended performance of this kit. 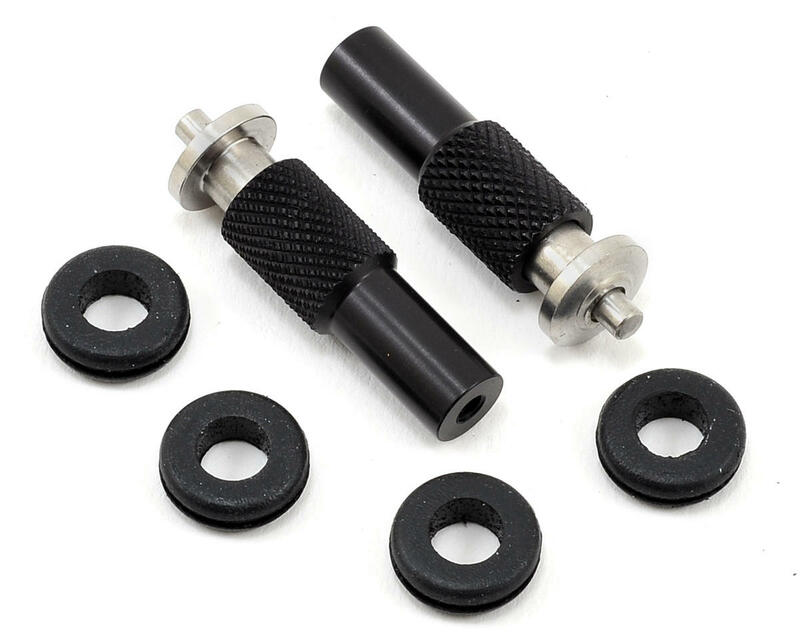 Use of this kit requires you to increase the canopy mounting holes on your canopy to 11/32 diameter to install the grommets. These canopy mounts are the best! I've been using them for a couple of years now on my 550, and I can't imagine not having them now. They work perfectly! You'll never go back to pop grommets after you try booya mounts! These cannot/would not fit on your 550l with a speed canopy. I an not sure about the original canopy but logically I'll still say no. The stand off is too high. I even cut off 1/4inch without any luck.